Puget Sound utilizes an online billing system called Touchnet Bill + Payment. On Bill + Payment students and authorized users can view monthly bills and account activity, and make online payments via e-check. Your semester billing invoice will be available online in early July for fall and early January for spring semester. The invoice summarizes your semester charges (estimated tuition, fees, room and board) less your estimated financial aid, and calculates the payment due. Read more information about the billing system. Access Bill + Payment by logging in to myPugetSound. 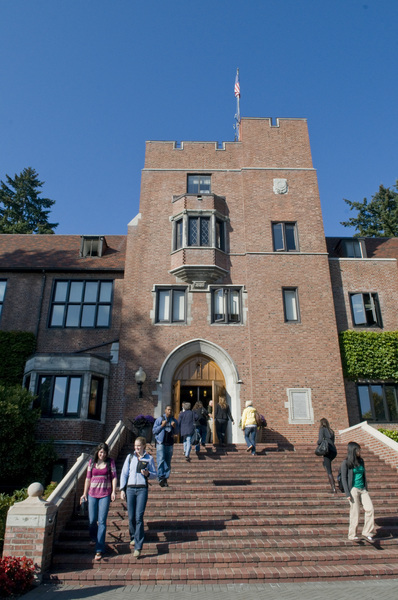 Students use their Puget Sound usernames and passwords to log in. Students MUST set up parents as Authorized Users in Bill + Payment to allow parents and guardians to access the Bill + Payment system. Once set up, parents receive two emails with the URL to link to Bill + Payment, and one with a temporary password to access the system. Puget Sound welcomes the following payment options: electronic check, paper check, cash, or credit card. Credit cards are subject to a 2.85% service fee, this cannot be waived or refunded. NOTE: Debit cards with a credit card logo can be used and will also be subject to the service fee which cannot be waived or refunded under any circumstance. If you want to use a debit card for payment, we recommend submitting payment via electronic check to avoid paying the service fee as it cannot be waived. Payment for each semester’s balance due must be paid in full by the payment deadline; August 15 for fall and January 15 for spring. Please check the account balance monthly to pay for additional fees that may be added throughout the semester. Accounts with charges not paid by the due date will be charged a $25 late fee each month payment is not received. The payment plan allows for extended payments of the semester balance due across the months of the term. There is an $80 participation fee for using the extended payment plan. Payment plan amounts may be adjusted as account changes occur. The first payment is due August 15 for fall and January 15 for spring, with additional payments due the 15th of each month. A $25 late fee will be charged for monthly installments not paid in full and payments not received by the due date. **Late fee rate is subject to change annually. NOTE: You must sign up for the payment plan each semester, the presence of a payment plan from a prior semester does not add one to your account for a future semester. Students or Authorized Users must enroll for payment plans through Bill+Payment. Parents or students may apply for loan funds to cover all or a portion of the balance due. Loans must be applied for and approved prior to the payment deadline. PLUS borrowers— please add the origination fee to the total loan amount needed. Origination fees are assigned based on disbursement date, please look here for origination fee percentages. Students who have not made financial arrangements by the payment deadline will be charged a nonrefundable $200 late fee. If you anticipate a problem meeting the payment deadline, please contact our office before the deadline to make special arrangements. Students who do not have their payment arrangements completed by the second day of classes will have their registration canceled. Students are then able to re-register on a space-available basis once financial arrangements have been confirmed. You will receive an email notification when your monthly billing statement is available. This statement details the activity on your student account and the current balance due. We ask that you review this statement to confirm that payments, scholarships, and loans are accurately reflected on your student account. Your financial aid is expressed as an annual amount. The funds are divided equally and disbursed to your student account at the beginning of each semester. If there are any remaining funds on your student account after charges are paid, the funds will be available to you via eRefund through Bill + Payment or via paper check. Students can request a refund by submitting the request to sfs@pugetsound.edu or by visiting the office located in Jones Hall 019. Refunds cannot be released until the first day of the semester.